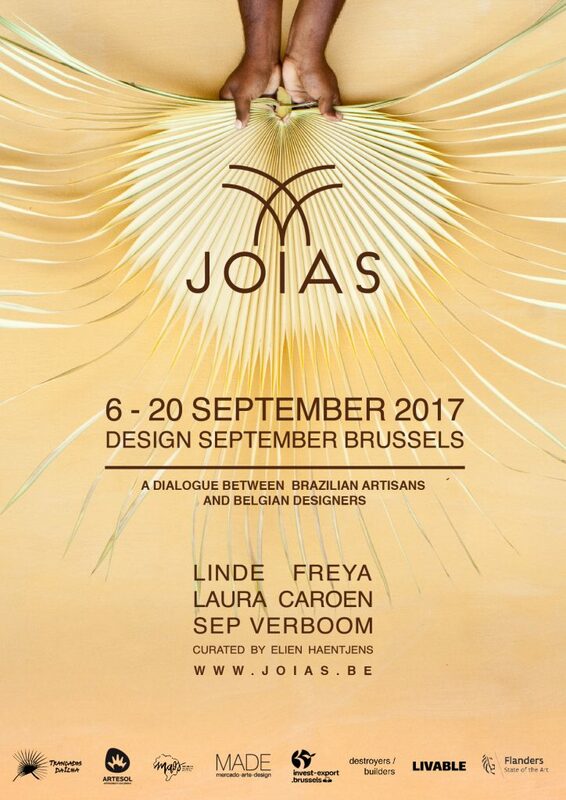 One month after the launch of Joias in Brazil, the project gets its European premiere during Design September in Brussels. 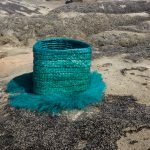 Joias is the result of a co-creation process between three Belgian designers and the Brazilian artisans of Trançadas da Ilha. Joias matured on an island in the magistral setting of the Delta do Parnaíba in the northern Brazilian state Piauí. 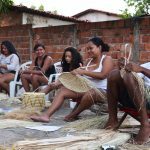 The star of the island and of the project is the Carnaúba-palm, which is also called ‘the tree of life’. All objects are made out of the fibers of this palm. Joias consists out of six different design collections, which are created in close cooperation with circa twenty artisans. Joias is the silent witness of this exuberant cultural dialogue. We’re delighted we can present the project now to the European public. Curious to see the result of this Belgian-Brazilian cocktail? Join us to ‘taste’ Joias during Design September at Gallery Desmet (Sablon, Rue des Minimes 39, 1000 Brussels). Opening: 6/9, from 18 to 22 h.
7/9 – 20/9: Monday to Saturday, from 10 to 18 h.